[New media art] questions everything, the most fundamental assumptions: What is a work? How do you collect? What is preservation? What is ownership? All of those things that museums are based upon and structured upon are pretty much thrown open to question. Jeremy Strick, Director, Museum of Contemporary Art, Los Angeles 1Susan Morris, Museums and New Media Art: A Research Report Commissioned by the Rockefeller Foundation. October 2001, 4. In this comment, Jeremy Strick is both correct and being rhetorical. Lots of contemporary art raises these same questions. New media art, particularly in its network-based incarnations, does so perhaps more consistently, but none of the questions raised is radically new. 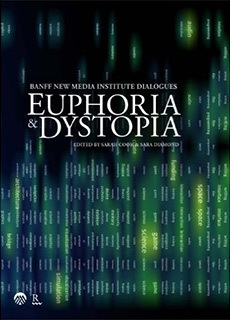 In fact, one of the results of institutions’ early investigations of collecting new media, the Variable Media Initiative, is significant precisely because of its cross-medium applicability. Nevertheless, there is a kind of crisis of collection – and hence cultural memory – because of the paucity of work in museum collections and the nature of new media art, which makes it difficult to recover adequately past a certain point. It is fair to say that even among the few museums that have relatively active curatorial efforts in new media, none has a collection that even approaches the scope of its holdings in other media that its exhibits. At the same time, since at least 1977 when Kit Galloway and Sherrie Rabinowitz first presented their Satellite Arts Project, and certainly since the invention of the World Wide Web in the early 90s, there has been an explosion of artistic new media activity, as is well documented on a website such as Rhizome or the archives of the Ars Electronica Festival, which presented for its 25th year in 2004. Why? What accounts for this discrepancy between artistic activity and institutional collecting? In order to understand the issues surrounding collecting new media, it is reasonable to question what it is. Taken at face value, photography and video were both new media and in the near future, the Weisman Art Museum will accession a transgenic work of art by Eduardo Kac, which is synthesized, in part, from his own DNA. 2Correspondence with Shelley Willis, Curator of Public Art, Weisman Art Museum, University of Minnesota, February 16, 2004. This suggests that “new” is simply “too broad a term to be truly useful,” as Lev Manovich writes in his influential book The Language of New Media about the terms “digital” and “interactivity.” 3Lev Manovich, The Language of New Media (Cambridge: MIT Press, 2001), 55. The flip side of nearly generic terms such as new, digital, and interactive are attempts to define new media as a set of unique properties—“the formalist rap” as David Antin refers to the hermeneutical process in his seminal essay Video: The Distinctive Features of the Medium 4David Antin, "Video: The Distinctive Features of the Medium" in Video Art, ed. Ira Schneider and Beryl Korot (New York: Harcourt Brace Jovanovich, 1976),174. See my "Beyond Interface: net art and Art on the Net II" for further analysis of the idea of distinctive features in relation to new media. and which, as Rosalind Kraus has pointed out, is too often “abusively recast as a form of objectification or reification, since a medium is purportedly made specific by being reduced to nothing but its manifest physical properties.” 5Rosalind Kraus. A Voyage on the North Sea: Art In the Age of the Post-Medium Condition. (New York: Thames & Hudson, 2000), 7. To read this diagram as a narrative, there is some kind of input. It can be the click of a mouse, the striking of a key or, as above, the weather. With the necessary interpreter, it can be literally anything. What the interpreter does is convert or “quantize” the input into a number, usually expressed to the computer in the language it can read—a series of ones and zeros. 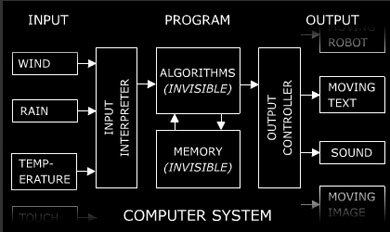 Once inside the black box of the computer—the invisible functions in the diagram—algorithms instruct the computer how to process the input. Algorithms, for our purposes, represent the set of instructions that the artist provides about how the computer software and hardware—which also invoke various algorithms—should act upon the external input. It is at this level that the artist is making important choices, although they are not always observable. Once the algorithms are executed, they are re-converted to the specified output, whether it is what should appear on a screen or instructions for how a robot should behave. A few things should be noted about this diagram of new media. First, it is recursive. Any output can become input, and in regard to network-specific art, or net art, the Internet can constitute the input and/or output of an artwork and even act as a kind of distributed computer system itself. Net art helps identify boundary issues in terms of collecting new media art, but network-specific art is not coterminous with new media art, nor is new media art always networked. Second, output that is homologous to the input is not new media art. For example, to digitize a photograph of a painting and post it on the Internet, while it technically conforms to the diagrammed process, is not new media art because it simply and faithfully re-presents the source material without any aesthetic intentionality. Finally, the digital art process is not about purity or exclusivity and is best considered in light of anthropologist Gregory Bateson’s definition of information as a “difference that makes a difference.” 6Gregory Bateson, Steps to an Ecology of Mind (Chicago: University of Chicago Press, 2000), 457. If one can make the argument that the computational process makes a difference to the work as art, then it is arguably new media art. One of the ongoing debates in the institutional art world is whether new media should be thought of as a distinct field or whether it is best to consider it as “just art.” There are valid points of view on each side of the debate, but the point of this process-based definition of new media art is that for the purposes of collecting it doesn’t matter. Just as some institutions have departments of photography or video curators and others don’t, both types collect photographs and video art. Regardless of institutional structure, however, it is important to consider how to integrate new media art into the museum’s collection practices as well as to consider how its distinctive features raise certain conceptual issues and pragmatic concerns. There are many new media artists and artist groups for whom the institution of the museum is a specific site of contestation. Work by Knowbotic Research, Critical Art Ensemble, Graham Harwood / Mongrel and others often uses the museum context to make its point, and in this sense is similar to the socially and politically engaged practice of Hans Haacke, Andrea Fraser or Fred Wilson, each of whom is also interested in engaging the institution of the museum with at least some of their work. [T]he reasons people started making net art .. to connect on a network and route around the censorship of the institutional and corporate world, means that they (museums) will never want to treat it seriously – it’s still in opposition to their structure. 7Melinda Rackham, "[-empyre-] Forward from ippolito re gift economy vs art market #1," [-empyre-] listserv, April 17, 2002. Whether or not this is the reason that many museums don’t collect new media art as conscientiously as other art forms is debatable; it does encapsulate a fundamental tension between the wide-ranging and open structures of the Internet and the traditional role of the museum as a gatekeeper. At a minimum, it requires the institution to understand that it may be collecting a platform with constantly changing content as much as a fixed entity. In the end, the issue regarding collecting “anti-institutional” net art isn’t its content, but the general desire by many new media artists for their work to continue to be freely and easily accessible—and appropriately displayed. Potentially, the museum can help enable this, especially over the long term by taking on some of the burdensome support issues. It may also impact the museum’s traditional insistence on uniqueness or limited availability for objects in its collection. A lot of new media art is ephemeral. Generally this issue can be divided into two separate categories: time and materiality. Stelarc’s classic Ping Body, which allows remote participants to actuate his body by “pinging” it via the Internet, is a performance that first took place on April 10th, 1996. Like Jean Tinguely’s 1960 Homage to New York, it can have a cascading influence on the field, but even if it is repeated, it would classified as a performance that would be part of an archives or study collection, not the permanent collection. Four geometric figures (circle, square, trapezoid, parallelogram) drawn with four-inch (10 cm) wide band of yellow color ink wash. 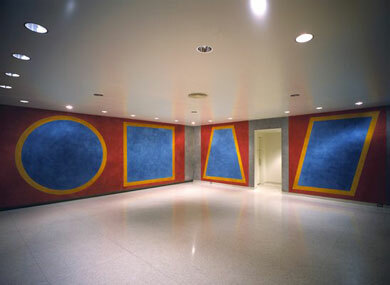 The areas inside the figures are blue color ink wash, and the areas outside the figures are red color ink wash. On each side of the walls are bands of India ink wash.
As the contextual information states, Lewitt’s instructions are something that “anyone may execute, in any location, any number of times.” The parallels to new media art are striking. In a sense, the input is the room’s dimensions. The algorithms are Lewitt’s instructions, and the output is the drawings on the walls. The point is that with all net art and significant aspects of all new media art, as with the Lewitt, the artwork that is collected is the instruction set, and the artwork that is experienced is its execution. The computer is a connection machine. A lot of new media art, especially network-based work doesn’t have spatial dimensions per se, but nodes and levels of connection. Maciej Wisniewski’s Jackpot (1997), for example, is an online slot machine that randomly displays URLs (web addresses) contained in a pre-existing database. In 1998, the Walker Art Center acquired this work as part of its acquisition of the website ada’web. The webpages that Jackpot’s database of URLs pointed to was not saved at the time, and now when you play it, the majority of results are missing pages. While the piece is technically “correct”—the instructions still work—much of the magic of the original experience is lacking. Figure 4 Maciej Wisniewski, Jackpot, 1997. To some extent this is the nature of works that rely on dynamic, external inputs. Calvin Tomkins tells the story of the first time that John Cage presented Imaginary Landscape No. 4 (1951), a composition that involves operating 12 radios according to a particular script. By the time Cage and his performers took the stage, it was after midnight, and the radio spectrum was practically silent. There were no sound streams for the radios to manipulate. Needless to say, the performance was not such a great success. 9Calvin Tomkins, The Bride and the Bachelors: Five Masters of the Avant-Garde (New York: Viking Press, 1965), 113-114. I would argue it is not enough to say Jackpot is technically intact and it simply becomes a marker of how the World Wide Web has changed. That was not the artist’s intent. On the other hand, what should be collected is not obvious. One could simply save the initial set of pages in the database, but, of course, when a future user clicks on a link within such a page, it will return an error message. One could create a script that “refreshes” the database of URLs periodically, so that more of them are accessible. One could modify the script to only use URLs that are still operational. Whatever the decision, it is important to try and make such future decisions an explicit part of the acquisition process, not an afterthought. This is the significance of the Variable Media Initiative project, to understand from the artist, in a more systematic way, which aspects of a given project can be changed or must remain fixed for the project to retain the artist’s intent. One of the constant refrains about the promise of new media art is that it allows the viewer to become a participant and even, for many works, a producer. The artist is creating the context, the platform, the set of rules by which the “viewer” participates and produces. 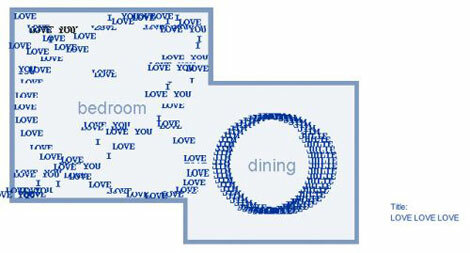 With a work such as Apartment (2001) by Marek Walczak and Martin Wattenberg, for example, users enter a string of words in order to create the floorplan of an associated apartment. The truth is, some users are better than others at generating results that are of interest to other viewers. How are we to judge works where the input is the user’s? Figure 5 Marek Walczak and Martin Wattenberg, Apartment, 2001. For Kynaston McShine’s acclaimed Information exhibition (1970), Dennis Oppenheim created a system for visitors to write a secret on a notecard and put it in a slot. In return, they received someone else’s secret. After the exhibition all 2000+ of the secrets were published, without editing. One would be hard-pressed, however, to argue that the quality of this essentially conceptual work was dependent on what people wrote. Many new media artworks are inherently performative. It is important to judge them on the basis of the performance that is possible, not on every person’s rendition of Moonlight Piano Sonata (1801), so to speak. There are plenty of ephemeral, instruction-based works in museum collections, from Jana Sterbak’s Vanitas: Flesh Dress for an Albino Anorectic to Four Geometric Figures in a Room. There are plenty of “anti-institutional” artists collected by museums from Haacke to Fraser. There are certainly examples of unbounded and open works, from Ray Johnson’s correspondence art to Yoko Ono’s Scream score. Why is there so little new media art in museum collections? There is no single answer, of course, but push (senior) curators on this point, and beyond issues of new media art being non-collectible, ephemeral, decontextualized, open ended, and difficult to preserve; beyond frustration with not having the right plug in or the computer being “down” when they were at an exhibition; they will finally admit two things: never having seen new media they thought was really great art, and not knowing anyone who collects (buys) new media art. These are not trivial issues by any stretch of the imagination, but as Linda Nochlin pointed out in her seminal essay, Why Have There Been No Great Women Artists? with such a gaping lacuna in the cultural vision of art, the question, if answered adequately, can “challenge the assumptions that the traditional divisions of intellectual inquiry are still adequate to deal with the meaningful questions of our time, rather than the merely convenient or self-generated ones.” 10Nochlin, Linda, "Why Have There Been No Great Women Artists?" ArtNews Jan. 1971: 22-39. See also Steve Dietz, "Why Have There Been No Great Net Artists?". It is not my goal with this essay to attempt to answer the question adequately—in Nochlin’s sense—of why there have been no great new media artists, but I do believe that doing so is fundamental to reversing the situation. One way to cope with the provocations of novel art is to rest firm and maintain solid standards…. A second way is more yielding. The critic interested in a novel manifestation holds his criteria and taste in reserve. Since they were formed upon yesterday’s art, he does not assume that they are readymade for today…. he suspends judgment until the work’s intention has come into focus and his response to it is—in a literal sense of the word—sym-pathetic; not necessarily to approve, but to feel along with it as with a thing that is like no other. 11Leo Steinberg, "Other Criteria," in Other Criteria: Confrontations with Twentieth-Century Art (New York: Oxford University Press, 1972), 63. Sympathy isn’t necessarily the best criterion for make a lasting commitment but neither is how similar it is to ones previous relationships. The distinctive features of new media art do challenge many of the conventional notions about art, but many respected—and collected—non-new media artists have used these same strategies in their work. I have no doubt that eventually new media art will be as much a part of institutions’ collections as photography, video, and installation art have become. In the meantime, however, there is a crisis at hand. We are in danger of losing 30 years of new media art history. It is important to learn now how to collect new media art, if there is to be any hope of preserving its recent past. If magnetic tape has a “half life” of approximately 30 years—the point at which it starts to significantly deteriorate—the half life of digital media can be days. In 2002, the average lifespan of a web page was just 74 days. In addition, the software that drives many new media applications might change every 6 months—and it is not always backwards compatible. 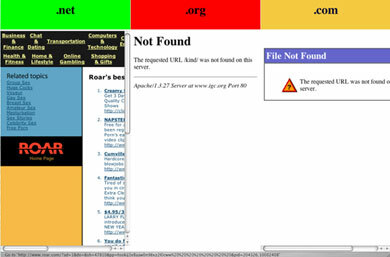 The artist duo Jodi’s famous 404 object page still displays, but if you look at the source code, hundreds of the words on the page are supposed to create a virtual Times Square of blinking. Current web browsers, however, no longer support the blink tag, so it is just ignored, and the experience of the work is radically different. Museums traditionally are concerned with selection and unique or specific objects. Libraries are traditionally concerned with access and instances of a generally available object. Many digital artworks are easily replicable, however, and artists are more interested in access than in uniqueness. 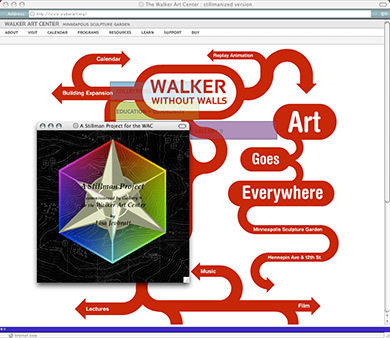 In this context, some of the differences between a museum collection of digital artworks and a library collection of digital objects begin to converge. As Jon Ippolito, progenitor of the Variable Media Initiative, provocatively put it in regard to the non-uniqueness of certain digital artworks: “For museums to acquire open-licensed art would require them to transform from collecting institutions to circulating institutions.” 12Jon Ippolito, "Nettime-bold] why art should be free 2/3: the digital sanctuary," on nettime-bold, April 12, 2002. According to the National Information Standards Organization’s framework for digital collections, “A good digital collection is created according to an explicit collection development policy that has been agreed upon and documented.” While this may seem obvious, it is not always true. To date, several approaches have been taken at U.S. museums. 13National Information Standards Organization, "A Framework of Guidance for Building Good Digital Collections," November 6, 2001. The clearest process may be to place new media works in the museum’s permanent collection, under whatever existing mission that collection has. …the Guggenheim is bringing a particularly long-term vision to collecting online art, acquiring commissions directly into its permanent collection alongside painting and sculpture rather than into ancillary special Internet art collections as other museums have done. The logic behind the Guggenheim’s approach, known as the Variable Media Initiative, is to prepare for the obsolescence of ephemeral technology by encouraging artists to envision the possible acceptable forms their work might take in the future. 14Jon Ippolito, "Ten Myths About Internet Art." The Guggenheim is focused on the important issue of lasting stewardship and the particular requirements of new media art and takes the position that works should not be segregated by medium. This is a principled position. At the same time, Ippolito acknowledges that he is constrained, with such a policy, in what he can show and especially acquire because it must “succeed,” 15Correspondence with the author, February 16, 2004. which can affect Steinberg’s question of not knowing, necessarily, what such success might look like. The American Museum of the Moving Image has a material culture collection. In the digital realm, it has collected film sound effects files, video games, and the dancing baby animation. For AMMI’s collection, “artistic merit is one among many characteristics that make something worthy of being collected. There are many others as well, such as considerations of its importance and influence at the time, or being part of a chain of influence for later developments and innovations, or even that it was an intriguing dead end.” As curator Carl Goodman puts it. “We as a museum are free to recognize artistry and artistic achievement but are not tyrannized by it—it is not the singular characteristic uniting all of our objects.” 16Carl Goodman, correspondence with the author, February 16, 2004. …to provide a permanently and publicly accessible record and context for understanding the telematic and new media artwork of our time, document major tendencies in the field, and increase local and remote visitors’ appreciation of new media art. 17Walker Art Center Digital Arts Study Collection policy. There was a two-step process for new media art at the Walker. It could be acquired for the Digital Arts Study Collection and then later accessioned into the permanent collection. This allowed me to collect work that I felt strongly about but which the institution was not necessarily fully equipped to understand at that point. More importantly, however, it allowed me to preserve work that provided a context for the artwork I was collecting, such as the Art Dirt webcasts by G. H. Hovagimyan, which included interviews with many of the artists in the digital art collection. What looms ahead or rather what has to be done is the reprise of the wonder chambers. Johann Valentin Andreae, the founder of the Rosicrucians once advocated an archive that would include not only artworks, tools, and instruments, but also their technical drawings. Under today’s high-tech conditions, we have no choice but to start such an archive or endorse millions of anonymous ways of dying. 18Friedrich Kittler, "Museums on the Digital Frontier" in The End(s) of the Museum (Barcelona, Fundacio Antoni Tapies, 1996), 78. Museums are moving toward such integration of their collections, archives, and libraries, at least intra-institutionally. It remains a goal to expand accessibility inter-institutionally. Preserving the New Media Art Collection 19Three excellent articles on the preservation of new media are by Richard Rinehart, "The Straw that Broke the Museum’s Back? Collecting and Preserving Digital Media Art Works for the Next Century," posted Jun 14 2000; Howard Besser, "Longevity of Electronic Art," submitted to International Cultural Heritage Informatics Meeting, 2001, written Feb 2001; and Peter Lyman: Archiving the World Wide Web. In: Building a National Strategy for Preservation: Issues in Digital Media Archiving; Library of Congress (April 2002). Collecting a work of art brings along with it the core responsibilities of research, presentation, and preservation. There are many reasons why preservation is problematic for new media artworks, primarily having to do with the variability of both their input and output, the fast pace of change for underlying hardware and software, and the physical deterioration of components. At the moment, there are very few solutions to these issues, but a number of interesting approaches are being attempted. For the time being, some combination will be necessary until there is common agreement conceptually as well as the supporting technical capabilities. In the meantime, however, collecting this important cultural heritage is a critical and necessary first step. For many media-based acquisitions, museums will purchase the equipment necessary to run them as protection against the equipment not being available at some future date. This approach has generally been downplayed for new media art because on a field-wide scale the potential variations boggle the mind. On the other hand, given the very few number of works actually collected and given their cost compared to works by equally established artists in parallel fields, I believe that equipment purchase, broadly defined, is worth considering. If, for instance, a project requires Netscape 4.01 or later with the Flash 5.0 plug-in, there is no reason it wouldn’t be possible to store a computer with this and its related configuration. If it also requires a server running Apache 3.02, Perl 4, etc. I don’t think it’s unreasonable to have a separate server running for this project that maintains this configuration. Potentially, other projects requiring the same configuration could also be served from the same machine, but once a new acquisition requires a set up that requires changes to the existing setup, then a new server is purchased ($1,0000 + installation of mostly free software). Eventually, of course, the hardware itself will fail, and it may not be possible to replace it, but at least one has bought anywhere from 5-30 years for more robust solutions to be implemented. Because media fail physically and software and hardware systems change dramatically, preserving digital media is an eternal migration at this point. There are two main components to the process: refreshing and migration. Refreshing. Like paper, film, magnetic tape or any physical substrate, the media that digital files are stored on such as CD-ROMs, floppy disks, hard drives will fail. Before this happens, it is important to refresh their contents to new storage media—even if their the same physical format. Migration. Refreshing moves a particular file—and the format it is encoded in—from one physical storage medium to another. But that is no guarantee that the file itself can be read or executed. Very few institutions can read a WordStar word processing files even if they have been refreshed from their original 5 1/4” floppies to brand new DVDs. Migration involves not only refreshing these files but converting them to currently readable formats. Migration is time consuming, and it doesn’t even guarantee that the formatting from one software format is preserved in the next. (E.g. current browsers can read and display Jodi’s page, but ignore the blink formatting). Nevertheless, migration is critical, if the content of files is still to be readable. Emulation: The Silver Bullet 20Jeff Rothenberg, "Avoiding Technological Quicksand: Finding a Viable Technical Foundation for Digital Preservation," January 1998. Emulation is perhaps best known as a way to use contemporary software such as a Java applet to emulate the way older software and/or hardware ran, such as a video arcade game. It is possible to download an applet that allows one to play the very first video game, Space War (1962), more or less as it would have been played at MIT, where it was invented, on a time-sharing mainframe computer. The idea with emulation is that if you can encode a way for a contemporary machine to run older software—including a computer’s operating system—then you can skip migration, as the original software will always be playable—as long as it has been refreshed and hasn’t physically deteriorated. Documentation, of course, is a critical part of any collection. There are three important strategies regarding documentation of new media art. Print it out. We know how to preserve paper. While it is not common, and we did not do it at the Walker Art Center, if I had to do it again, I would print out all of the software instructions, especially the artist’s code. It may not be possible to actually print out the source code of Flash or other proprietary software, but it is definitely possible to print out the lingo script the artist used in Flash. In the end, it is not a difficult process, and it adds an extra layer of worst-case scenario security. Document the context. As discussed regarding Wisniewski’s Jackpot, there is legitimate debate about how much of a context to try and preserve for any given project, but having collected several pieces that have now lost their original context, I regret not having been more assiduous in documenting materials in whatever method possible that the work might have been linked to. This would never be the same as a contemporaneous experience, but it is far better than another 404 Not Found message and is part of what cultural heritage institutions can and should take on to help provide a context for future generations to better understand and hopefully experience this important work. The Variable Media Initiative (VMI). 21See "Archiving the Avant-Garde: Documenting and Preserving Digital / Variable Media Art," www.bampfa.berkeley.edu/about_bampfa/avantgarde.html. One of the most promising re-conceptualizations of collecting, which affects collecting contemporary art in general, not just new media art, is the Variable Media Initiative promulgated by Ippolito at the Guggenheim Museum and now the work of a consortium of institutions and funders. At the core of VMI are the twin assumptions that the nature of much contemporary artwork is… variable, and that it is important to document the artist’s intentions regarding the variability to the extent possible at the time of acquisition. Museums have interviewed artists about their work before, but the VMI is radically explicit about the mutability of much contemporary art and attempts to provide a standard framework for both artists and museum personnel to better understand what really matters for any particular work of art. To what degree do knowledge formations and institutions (museums, universities) transform in relation to the unfolding of their emergent subjects (new art) and alter their relationship to all that went before in the history of art and the collections that sediment that history? Abstract expressionist painting changed the size of museum galleries. Video installation introduced the black box to the white cube. Examples of how contemporary art practice has changed institutional practice at both pragmatic and conceptual levels abound. Even as institutions begin to more assiduously collect new media art and be concerned about its preservation, it is unlikely that every museum will have the resources necessary to fully support its collections. On the other hand, because networked new media art is not dependent on physical location for viewing, it is possible for institutions to share infrastructure, such as servers, technical staff, hosting. It is imperative for museums to find a scaleable, sustainable solution to issues of preservation, if they are going to feel confident in their duties to their collections. This is unlikely to happen at the level of the individual institution. Collecting new media art is first and foremost a curatorial issue. The medium poses challenges to traditional notions of collecting but little more than much contemporary art. Proven ability to preserve and conserve new media art remains at the theoretical level, but this will be a moot question for a vast swathe of contemporary artistic—at least for museums—unless they take the first step and begin to collect, critically and assiduously. Steve Dietz is a freelance curator. He is Director of ISEA2006 Symposium | ZeroOne San Jose: A Global Festival of Art on the Edge August 5-13, 2006. He is Curatorial Fellow at the Walter Phillips Gallery at the Banff Centre, Canada. He is the former Curator of New Media at the Walker Art Center in Minneapolis, Minnesota, USA, where he founded the New Media Initiatives department in 1996, the online art Gallery 9 and digital art study collection. He also co-founded, with the Minneapolis Instite of Arts the award-winning educational site ArtsConnectEd, and the artist community site mnartists.org with the McKnight Foundation. This text was first published in Bruce Altshuler, ed. Collecting the New: Museums and Contemporary Art. Princeton University Press: Princeton and Oxford, 2005, pp. 85-101. Here we publish an edited version.